A Mare’s gestation period lasts for about 345 days, but that doesn’t mean a mare must rest for all that time. 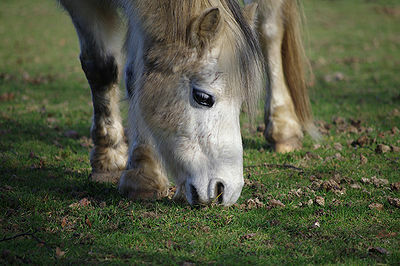 Unless the mare has health problems or a high-risk pregnancy, you can continue her normal routine for most of the time. The first month and last three months are most important times of pregnancy. 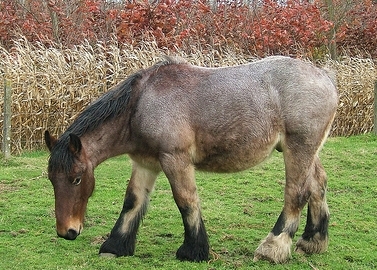 In the first month, until the pregnancy is more stable, the mare should be exercised lightly. During the last three months, the foal undergoes major growth and workouts should be held to walks and trots. As the fetus grows, the diaphragm is pushed up and could make it more difficult to get air in the lungs. In the last 2-3 weeks, due to her increased weight, riding can be uncomfortable for her. But it’s important to keep her moving to prevent edema (legs swelling from fluid buildup). The recommendation if for about 10 minutes walking by hand twice daily. Regular riding past the first month should pose no problems. But if exercise is excessive, the foal can damage or rupture the abdominal wall although this is quite rare. However, if this does happen, the mare can no longer be used for breeding or sport. 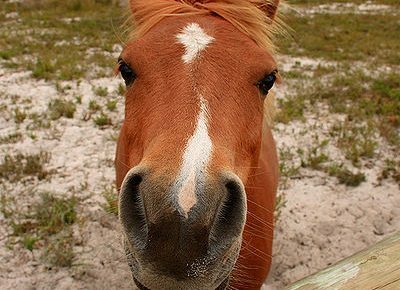 Since each horse’s nutritional requirements are different, it’s best to consult with your vet or an equine nutritionist to help with a diet plan for your mare. This will ensure that the mare doesn’t gain an excessive amount of weight making delivery more difficult. Supplements are not necessary and should be avoided. Fresh hay and clean fresh water should always be available to the mare. The most comfortable place to keep your mare in daytime during her pregnancy is outdoors with access to a sheltered area. Make sure the field is free of fescue grass that sometimes contains a fungus that can cause longer pregnancies, difficult births and low milk quantities. In the third trimester of the pregnancy, the mare will tend to keep away from other horses for safety. If possible, keep her and a friendly companion horse in a separate paddock. Keeping your pregnant mare away from young horses or those in competition will help to avoid infections and illnesses which can cause her to abort. Treatment for these conditions can be dangerous to the foal. Keep her equipment and supplies clean and separate from other horses. Ask your vet when vaccines and deworming medicines should be administered. Hoof care and grooming should continue on schedule. For more detailed information, keep in touch with your vet. Notify him/her immediately if anything unusual occurs. This will ensure that mare and foal remain healthy during pregnancy and after birth.